No power washing and get ride of moss, algae and mildew. No scrubbing and wearing out the roof doing it. Partially cleaned roof. Showing before and after. 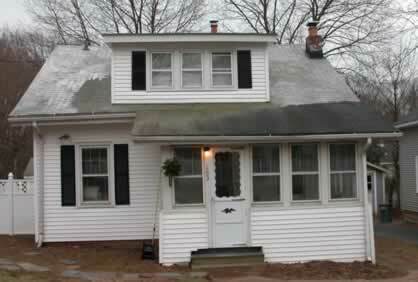 This is done with no high pressure washing of shingles. Complete care is taken to protect all the plantings. All safety precautions are taken. Detail view of partially cleaned roof. The initial cleaning is very fast as this picture was taken right after the cleaner was applied. 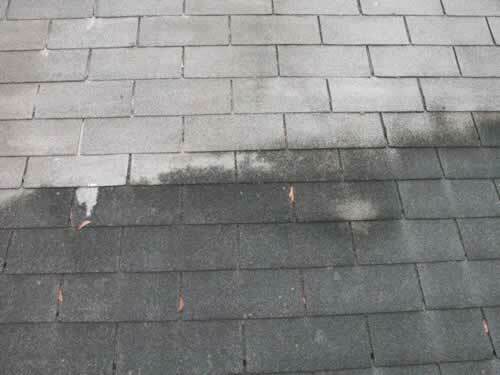 Residual cleaning affect is provided by additives that keep the roof cleaner on the surface for 24-48 hours to help kill the mold, algae and lichen. Fully cleaned section. 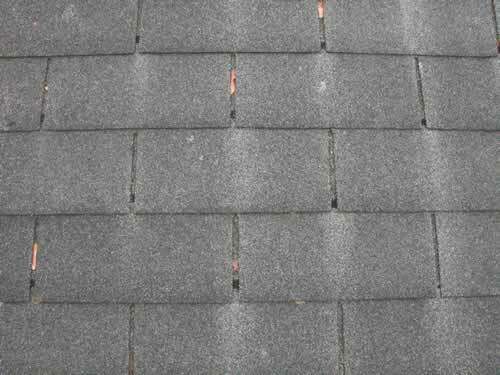 Showing detail of the cleaned shingles.